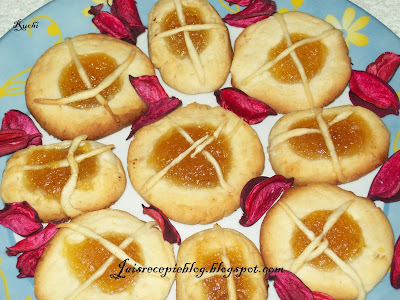 When I searching for baking recepies I came across this pineapplejam cookies/tarts. I was very much impressed and decided to prepare this cookies. I was very excited and started preparing to make some pineapple tarts. Pineapple tarts take lots of hours to make as there is the cooking of pineapple jam (which can take hours) and preparation of pastry followed by baking. Making these pineapple tarts needs some patience, especially with the pineapple filling.Pineapple tarts have a nice buttery smell pastry which melts in the mouth. I modified a bit. 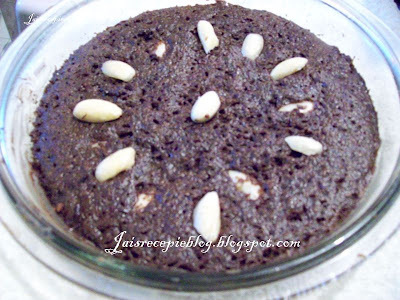 I started with this recipe as a base and made my own modifications, which ultimately inspired a “Wow!” Pretty simple to make and the cookies came out very good especially when hot from the oven. 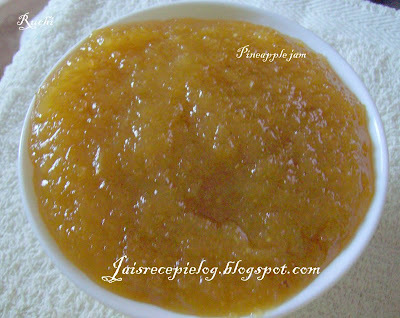 Pineapple jam makes a great spread for toast, biscuits, pancakes or other jams. It’s good on everything! Cook the pineapple pieces with water on a low fire until tender and 1 cup water is left.when cooked smash it nicely. Make sugar syrup of thread consistence then add cooked over low heat until it caramelises and dries up somewhat. To test whether the jam is done, pour some jam on a dry plate. Allow it to cool and tilt the plate. If the jam is ready, it will fall in flakes. When the jam is done, Add essence, cook until setting point is reached. When the jam cools, Pour into a jar and close the mouth of the bottle . (1) Cream butter and icing sugar till creamy but not till oily. (2) Add in vanilla essence, salt, flour and milk powder. (3) Mix till a dough is formed. Chill in the fridge for 30 mins. If dough is still too soft to be rolled out a this point, add in a little more plain flour and knead lightly into a pliable dough. (4) Once the dough is not so sticky, take a bit into your hand and flatten it. (5) Place a small ball of pineapple jam on top. Pinch some dough and roll into thin strips. Place on top of jam into a criss cross style. 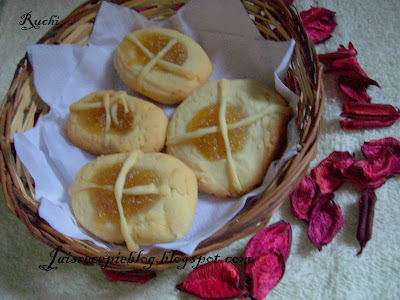 (6) Brush cookies with egg polish/or butter and bake for about 15 mins or till cookie turns into golden brown. (7) Leave to cool on and store in air-tight cookie containers. Hurray..am the first one to comment.I like Pineapples alot and the Jam looks superb.....very appealing Jaishree! Thats a wonderful spread! 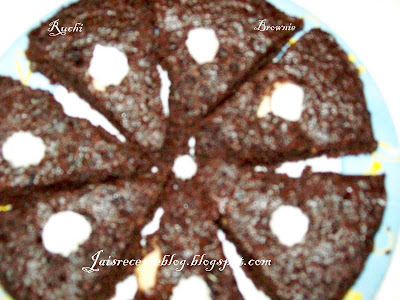 Beautiful cookies... awesome brownies..
really love the cookies.. the brownies make me feel like having some right away! Looks great jaishree. Wonderful cookies and brownies. Jam and cookies with that Jam on it really looks mouthwatering! Microwave brownies looks good too! Thank u Nithya for your first sweetcomment. The brownies are so tempting! Pineapple jam is my fave, cookies look yummicious! Thanks for this information is really useful. This blog is amazing!!! !